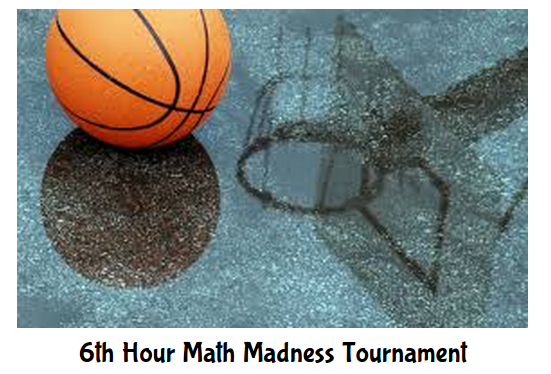 During March Madness the 7th grade students were learning about ratios and percentages. Their math teacher Miss Leiker thought it would be fun to put an engaging spin on her lesson and create an augmented basketball tournament. With a little help from me, the AR Basketball trigger, and Daqri 4D studio we developed an augmented basketball tournament. The goal of the tournament was to apply what they had learned about ratios and percentages. To collect their data students entered how many shots they made out of 25 onto a Google Form. To access the Google Form students had to scan the augmented trigger for their class class and select Hoop it Up. To view the class's tournament bracket students scanned the same augmented trigger and selected the basketballs. Below is one of the augmented triggers. There was a augmented trigger for each class. After students collected the data for their tournament they had to apply what they learned about ratios and percentages. For example the percentage of shots made per person and overall, and the ratio of shots made versus shots missed. Write a part to part ratio based on your shooting results. Explain the meaning of your ratio. Write a part to whole ratio based on your shooting results. Explain the meaning of your ratio. Write three equivalent ratios based on your part to part ratio. Write three equivalent ratios based on your part to whole ratio. A college basketball player last season shot 32/56 at the free throw line during the NCAA Tournament. Based on your shooting results, do you have a better shooting percentage than this player? Explain or show your work. If you were to shoot 72 baskets, based on your ratio, how many would you expect to make? Explain or show your work. How many would you expect to miss? Explain or show your work. Write a part to part ratio based on your amount made and missed for 72 shots. Is the part to part ratio from question C an equivalent ratio to your actual shooting results? Explain. My daughter's kindergarten class is currently hatching chicks. She had sweet talked her dad and grandpa into buying chicks so she can watch them grow up on the family farm. Her little project got me thinking about having a birds eye view of a nest and how I could incorporate augmented reality. 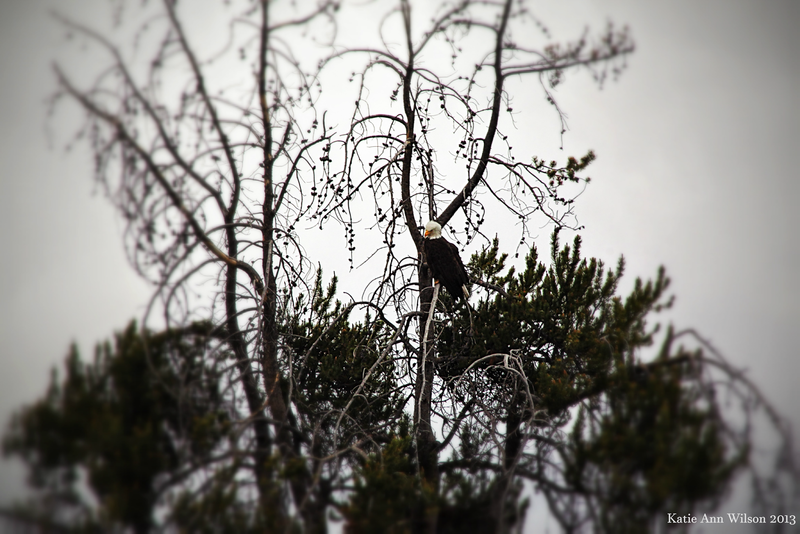 When we go on vacation we try to make it educational for the entire family, we visit national parks, museums and etc... A few years ago we went to Yellow Stone National Park, and I just happened to be at the right place at the right time and snapped this picture of a Bald Eagle. Thinking about my daughter and her love to watch baby animals, I thought how cool would it be to peek into a Bald Eagle's nest via an augmented trigger. A augmented trigger would be easier for younger kids to use and peek into a next rather trying to look up a web address. My plan was to embed a live web cam as the augmented element. To my surprise the Aug That team embedded several live web cams, so my daughter and her class can see into multiple eagles nest. When you use Aug That's "Supreme Tutoring Augmented Reality” (STAR) app and scan different areas of the image you will get a different live web cam of an eagle's nest to look at. The App you will need to use for this project is Aug That's "Supreme Tutoring Augmented Reality”(STAR). The app is available in both the Apple App store and the Google Play store. 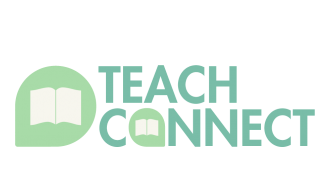 Aug That is developing a teacher community called Teach Connect where teachers can share their augmented lessons they have created in a safe secure environment. There is no channel to follow, no password to enter, and no other content will appear on your augmented triggers when using their platform. What teachers like about this community other than we can share content and it is safe, is they don't have to build it. All they have to do is send the trigger image they want to use along with the AR element and the team at Aug That will put it together for you. The team does approve all trigger images and content, so that you know that everything in the community is safe for kids and is educational. This does take some time for the team to go through all the requests, so give them a day or two. Download the Supreme Tutoring Augmented Reality. Pick the app store you need. Launch the app. Click "Start Lesson"
A 6th grade Language Arts teacher friend of mine is teaching a literacy unit on the book "Kids' On Strike", by Susan Campbell Bartoletti. She is using the lesson plan from Building America and asked me if there was any way I could incorporate augmented reality (a.k.a. AR) into the lesson. My answer was of course I can do that. I studied the lesson plan, read the book, and then dove right into how could I incorporate augmented reality into this topic. Knowing my teacher friend was wanting to do a Jigsaw approach to this unit I decided that was the approach I needed to use to incorporate AR into the unit. 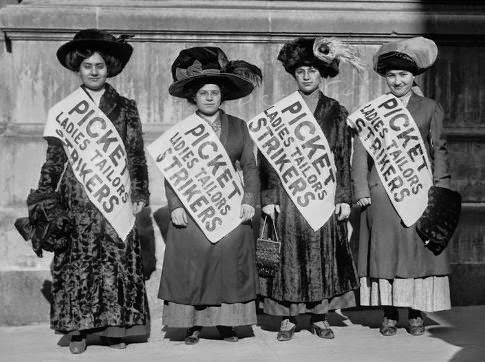 The book has 8 chapters that talk about the different types of strikes that had happened in the late 1800's and early 1900's. I found an image to represent each chapter. Each image was then divided into 4th's. The idea is for each member of the small group that is learning about a certain chapter would get a piece of the image. When each piece is scanned an augmented element would appear. When all the pieces are put together a 5th augmented element would appear. Giving the experience a jigsaw feel. The goal of the project is for each small group to be responsible for learning the content of the chapter assigned to them and to share what they have learned with their base group, learning the pieces to make the whole approach. Within the small group each person is responsible to become the expert of the content that is embedded in their piece of their photo. Above is one of the images that was used for this project. If you print and cut the image into 4th's you will experience the augmented elements I have embedded into the image, or you just scan parts of the image. One of the augmented elements is to take you to a Padlet board I created for this project. Each image has it's own Padlet board. This board will be where the students hold their discussions and to share what they have learned about that certain chapter. The App you will need to use for this project is Aug That's "Supreme Tutoring Augmented Reality” (STAR). The app is available in both the Apple App store and the Google Play store. 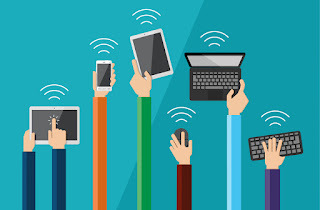 Aug That is developing a teacher community called Teach Connect where teachers can share their augmented lessons they have created in a safe secure environment. There is no channel to follow, no password to enter, and no other content will appear on your augmented triggers when using their platform. What teachers like about this community other than we can share content and it is safe, is they don't have to build it. All they have to do is send the trigger image they want to use along with the AR element and the team at Aug That will put it together for you. The team does approve all trigger images and content, so that you know that everything in the community is safe for kids and is educational. This does take some time for the team to go through all the requests, so give them a day or two. 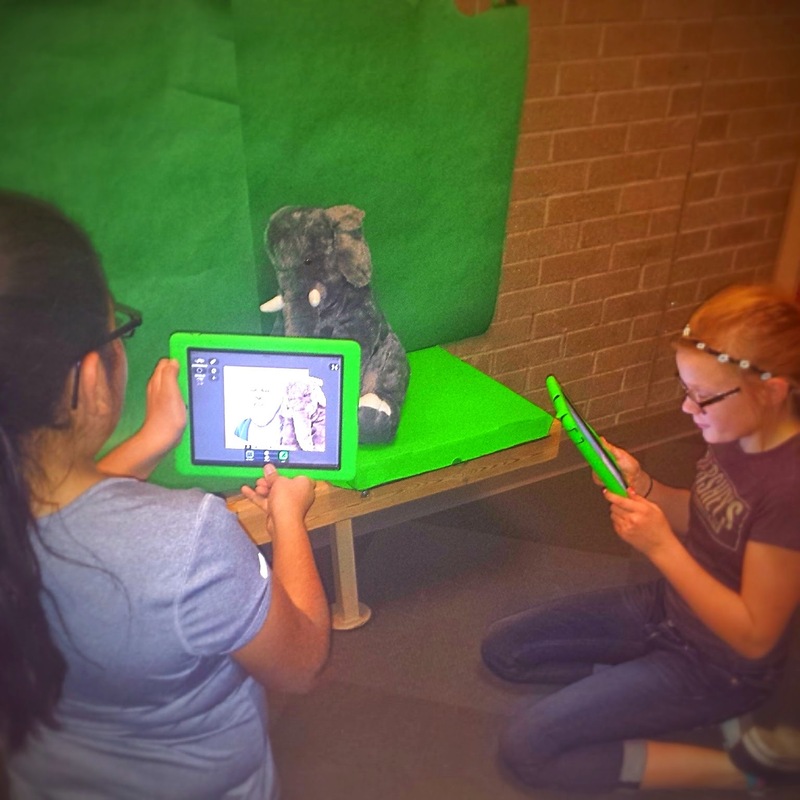 Teaching others how to incorporate augmented reality into education is a passion of mine. I love how diverse augmented reality can be. I have also seen how engaging and powerful it can be when used as a learning tool. I don't want to just learn about the solar system, I want to hold it in my hands! I want to dig deep into it and find out how it ticks. I want to explore every corner, turn it inside out, and flip it around. Augmented reality gives me the tools to do just that. I don't want to just read about something, I want to learn about it. 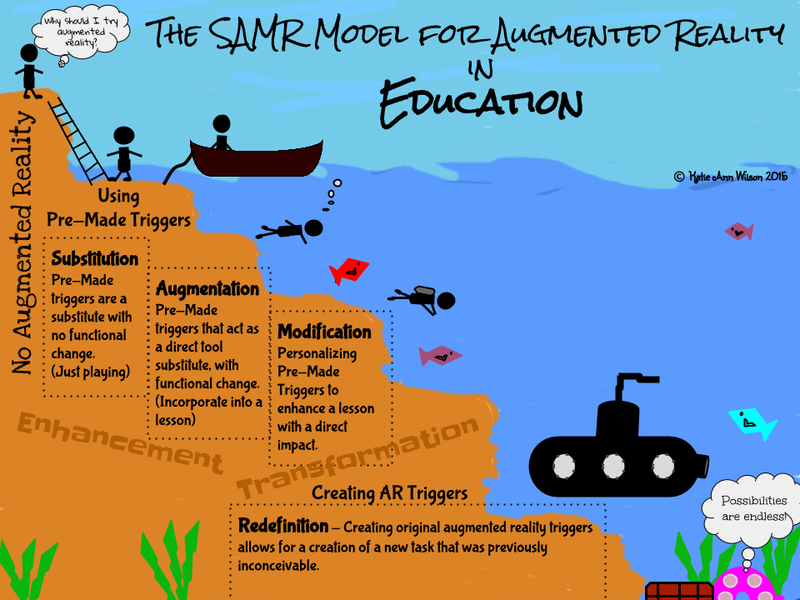 I've been asked to help others in dipping their toes so to speak into the water and start exploring the possibilities of augmented reality in education. To help build the support line in learning how to incorporate augmented reality in education I am developing a series of challenges. My goal is to launch each new challenge via my podcast as well as develop an ebook to support the learning process. As each challenge is completed the participants will also be able to earn a badge.